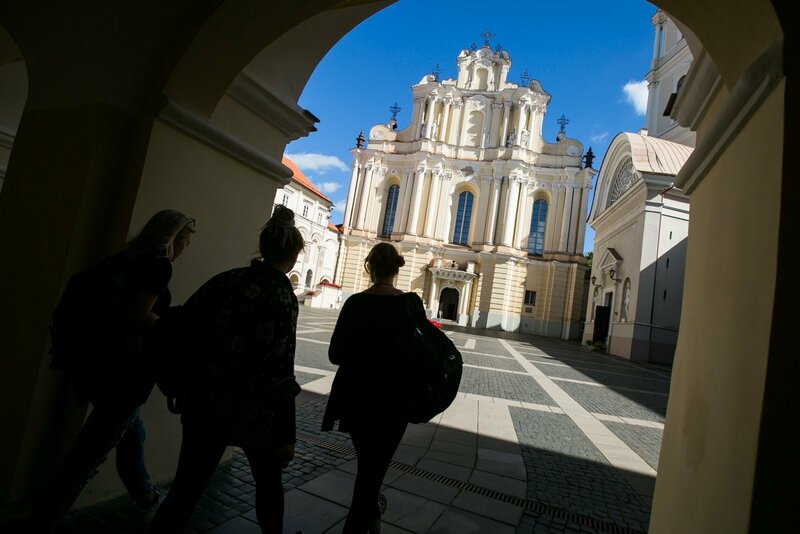 The Lithuanian government approved on Wednesday a university network reorganization plan worked out by the Education and Science Ministry and will now send it to the parliament. Under the plan, Vilnius University, Vilnius Gediminas Technical University (VGTU), the Lithuanian Academy of Music and Theatre, the Academy of Arts and the General Jonas Žemaitis Military Academy of Lithuania, will continue to operate in the capital, higher school representatives who were present at the Cabinet's meeting confirmed to BNS. Vilnius-based Mykolas Romeris University (MRU) would be merged into VGTU. The second-biggest city of Kaunas would have three universities: Vytautas Magnus University (VDU), the Kaunas University of Technology (KTU) and the Lithuanian University of Health Sciences (LMSU). The Lithuanian University of Educational Sciences (LEU), which is currently based in the capital, would formally become part of VDU, but a teacher training centre would also be established at VU. Aleksandras Stulginskis University (ASU) would also become part of VDU and Lithuanian Sports University (LSU) would be merged into LMSU. Šiauliai University (SU) would become part of VU, but Klaipėda University would continue to operate as an independent university. "The government gave its final approval for the plan itself, but the Seimas as the founder is yet to make its decision," Prime Minister Saulius Skvernelis told reporters. "As far as the university network (reorganization), which is only one of the measures envisaged in our plan, is concerned, we have clarity now," he added. Education and Science Minister Jurgita Petrauskienė said that the plan has been approved by all universities except LSU.